I am trying to get national to approve a registry for this model. There were not very many and I am sure the number is shrinking as the years go by. They have grey on grey with black piping, a whale tail and a plaque on the dash that indicates its a Silver Anniversary Model. If you have one or know of one please let me know. Last edited by cashman; 03-22-2013 at 05:50 PM.. 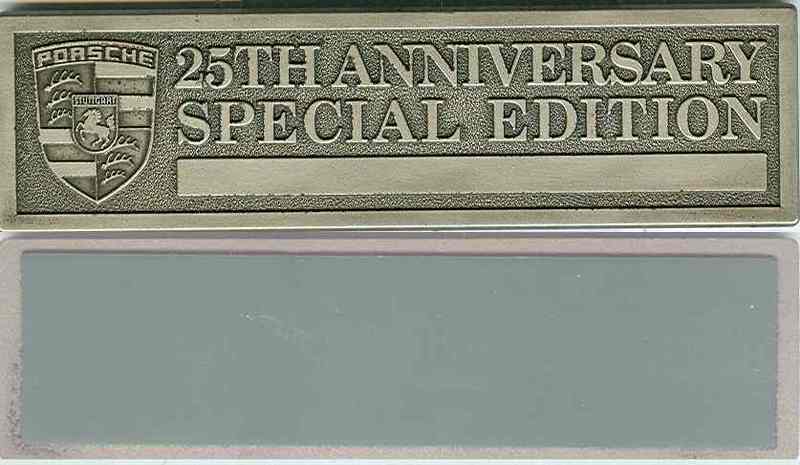 Okay, first it's not a Silver Anniversary, it's a 25th Anniversary. Silver Anniversary models were produced in 1975 and 1063 were made. Also, your thread title says "88-89", but the 25th Anniversary cars were only produced for the 1989 model year. M243 Shorter gearshift lever; M286 High-intensity windshield washer; M288 Headlight washer; M425 Rear wiper on coup; M439 Electric cabriolet top on cabriolet; M454 Automatic speed control; M473 with spoilers; M490 Hi-fi sound system; M494 Amplifier system; M650 Sunroof; M980 Seat covering in soft leather. I read this in a recent issue of Excellence. Let us know if you if you get the registry going. Wouldn't you know it, I have an '89 Anniversary Edition in Satin Black Metallic! Very much in love! Hi... Doyle dshepp806 from 'Middle Georgia" has a '89 Anniversary Edition that he is doing a 'complete' resto on...Big thread on it. Two special editions of the Carrera were produced – the "Commemorative Edition" in 1988 to commemorate 250,000 911s produced and an "Anniversary" edition in 1989 which was the model’s 25th year of production. Both were cosmetic packages with limited production. Last edited by A horse with no name; 03-22-2013 at 11:22 PM.. Yeap,..I own one, too. Love it,..a beautiful car! One thing I've noticed (and in several cases) is the steering wheel cover colors presented in submitted pics. 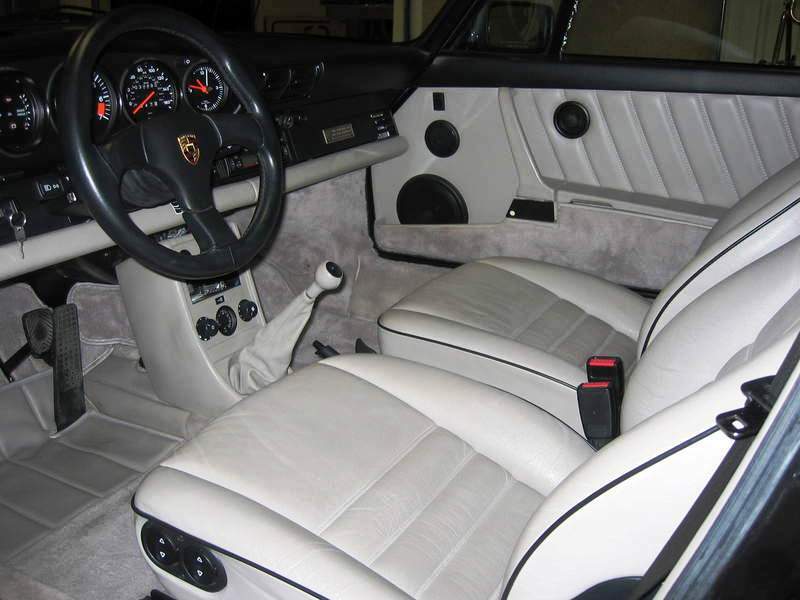 This Edition came out (as I understand it) with the steering wheel leather cover to match the interior however I have seen several that sport a BLACK steering wheel. I know (for a fact) that the P.O. of my car had the steering wheel recovered in black, stating that it was a bit troublesome to keep clean (huh?...go figure?). 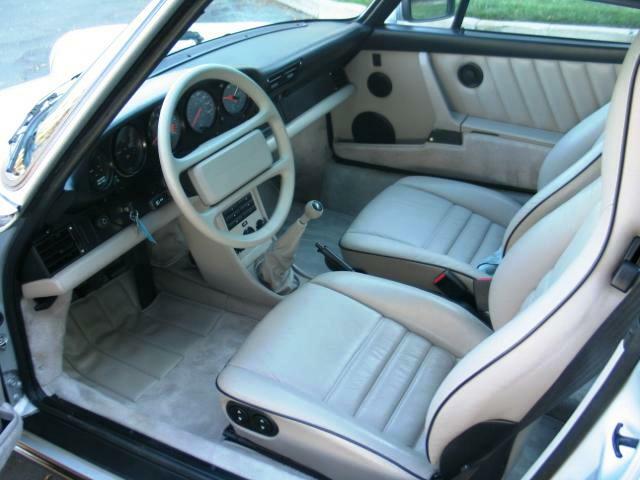 I'm considering going back to the leather matched interior color for the steering wheel. Also, the same is true regarding the shifter knob. I noticed in Hank's pic, it looks like maybe the knob was replaced at some time? Mine is certainly covered with leather that is matched to the interior color (you'd be surprised what just that piece will entail to properly recover). She came with the audio package and the console has CD storage capability. I'm curious to know what (external) amplifier came stock on this car (it's located under the passenger seat). Mine came without the plaque. The P.O. stated that this was not with the car when he bought it (he was the second owner). This is a piece I'd like to get produced if possible. It's distinct in that it had the car's production number on that plaque (there was no #1 plaque produced). 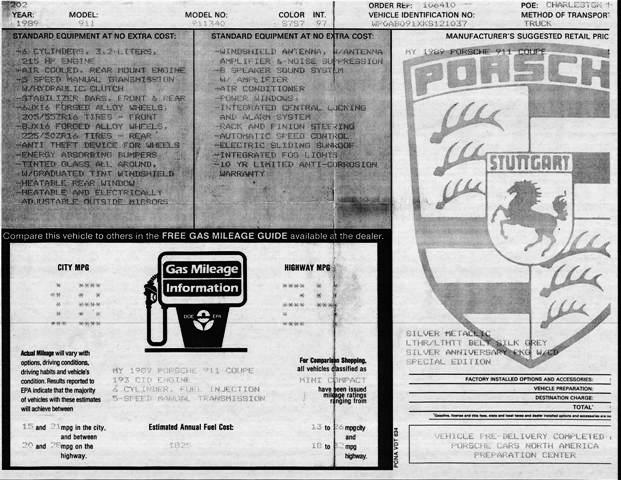 I'm told that only the '75 had the insignia plate mounted to the glove box and that all others were not mounted by Porsche anywhere but did come IN the glove box (loose). We always see these mounted ON the glove box door but I'm inclined to think that owners have selected that spot for mounting this elusive plaque. Should anyone know of someone who can reproduce this "badge", I'd sure like to speak with them!!! (As it's the only thing missing from my car!). My FUCHS are original and certainly color-matched to the car, as delivered. This interior has been a bear to get matched up...one just can't go by color descriptions anymore and it's been very laborious in going through matching leather swatches with my upholster Heritage Upholstery and Trim (Tony). My Painter is the well-known John Holt of Hot Wheels in Marietta, Georgia. Certainly the best I've ever worked with. A very Porsche knowledgeable Pro, for sure. The response to this has been great. 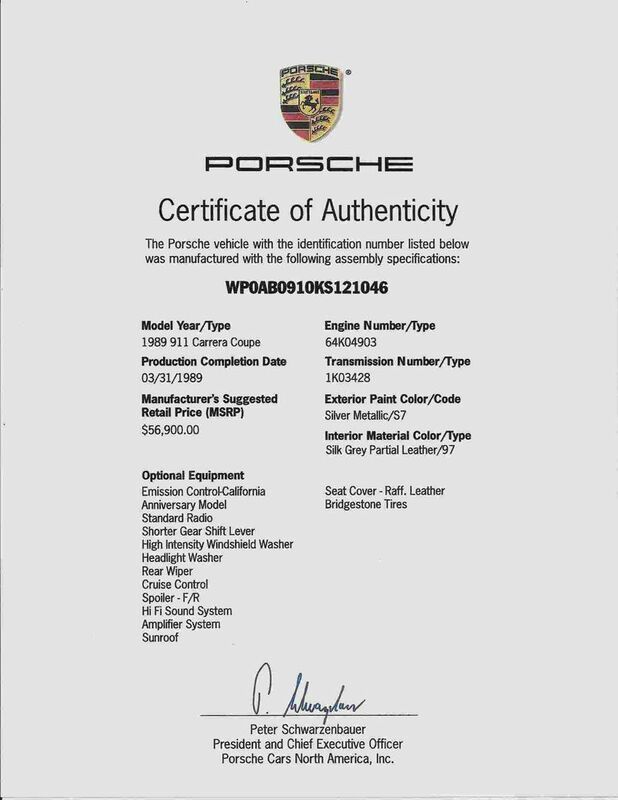 I think the next step is for everyone who has a Silver Anniversary model to get their Certificate of Authenticity from Porsche of America and that will verify whether your car is truly an Anniversary model. I have included mine for everyone's reference. Then I can forward your responses to Mike Souza, the PCA Register Coordinator to make our case. Right now he is on the fence. I sent him the article in Panorama that says this model is probably going to be one of the most desirable collectors items in the future (June 2012 issue of Panorama page 38 .) I have not seen the Excellence Magazine article so if someone has that please send it over so we can post it once we set up the website. Hi Hank...I just looked up the article and 99% of it has to do with the value of the '60's and a few years of the 1970 911's. 73 RS / '74 RS -55 built. / 1974- 1976 "Euro Carrera's. / '80 Weissach - 406 built for US only. / '85- 89' 'Turbo Look" participatory later models with the G50./ '92- '93 RS 1997-1998 C23s -> These ('93RS - '97RS) cars are already on hallowed ground ." "The 'low milage' 1978- 1983 SC's and the '84 - '89 Carrera's will be come collectibale soon, particularly in unusual colours . At the bottom of the food chain are the 1974- 1977 CIS 911's only when they are mint originals and in great period colors like pink, orange, bright green, yellow and unusual blues" unquote. Here is what the article states -verbatim about the '88 and '89 special editions. [/I][/B][/B] I hope that this info is of help to you. Quote: "1987-1989 G50 gearbox 3.2 Carrera's - The special models, the diamond blue meticallic Ferry Porsche Signature Edition and the silver (especially) or black Anniversary Editions are worthy. These cars are available at street car prices plus a slight premium. One well know collector with over 20 top quality 911's is buying them up as an investment" - End of quote re these 2 editions. 'Porsche PANORAMA' (PCA) June 2012, 'quoted' from page 38. I'm gonna' make a few calls on the plaque reproduction....just to discuss, of course. Can someone post a "populated one"? I'd like to see how they entered the production number at the bottom. Since Hank has kicked this off, I thought I'd share the original window sticker on my car..
Another one (NOT mine),..the cassette version console. This steering wheel is the original deal. My interior floor mats look like the car in this pic...nice and black! Answer to Michael (Horse with No Name) The specific quotation about the 25th Anniversary Edition was a side bar about post 1973 collectibles and I don't think it takes away from the point. I 'll be glad to scan the article for anyone whot wants it. Answer to Dave (Porsche Nut) We are both right. The 75 Silver was to commemorate 25 years of Porsche. The 89 Silver Anniversary Edition was to commemorate 25 years of 911. Look at the fine print on Doyle's window sticker, it says Silver. Regarding the year 88-89 note that mine was made in March of 89. Porsche is notorious for not specifying years rather they go by models and I have read somewhere that they began production of this model in 1988. First 911 was 1963 so 25 years later would be 1988. To Doyle, you are so lucky to have that window sticker. Since mine was in a wreck and rebuilt by some doofus I cannot be sure that everything is original. The wheels are obviously not original and you are probably right about the gearshift. My steering wheel leather is a cover since the original is totally worn out. I plan on getting it redone eventually. Regarding the plaque, the sales manager over at Autobahn in Fort Worth sold several of these in 89 and I will ask him if he knows the complete story on the plaque. He did tell me that after the 964 came out in mid 1989 he couldn't sell any of the Carrera 3.2 because they didn't have airbags and wives wouldn't let their husbands buy them. Note to all, I know this is not a Turbo or Club car or RS but it is a specialized model and if we can give it attention it will be highly prized the next time an anniversary rolls around. Its not better than any other car that our group has, each one is special. Below is a direct quotation in Wikipedia. Although Wikipedia is questionable I think the entire quotation is actually from the book by TonyCorlett, (2005). 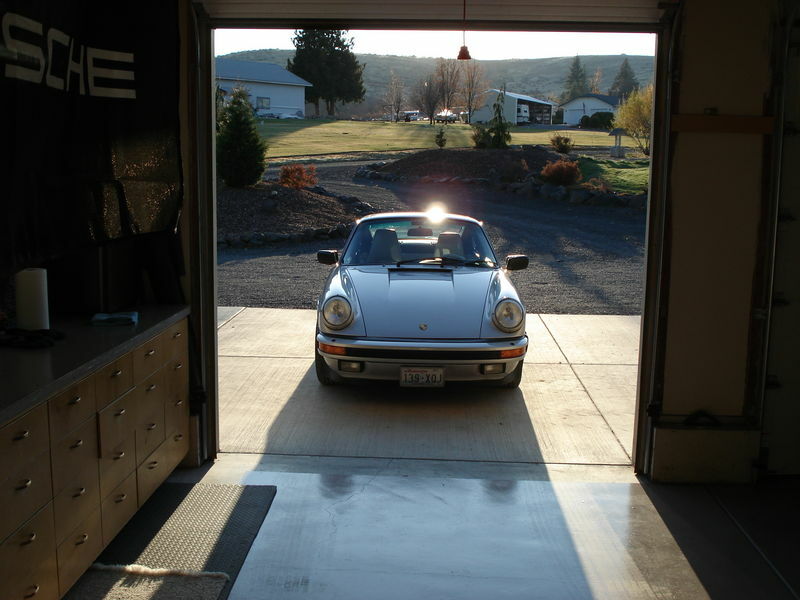 Porsche 911 3.2 Carrera: The Last of the Evolution. Veloce Publishing Ltd. ISBN 978-1-904788-65-2. I have the book but I have cleverly hidden from myself. I think there are some mistakes, but it confirms what a lot of the postings say. I would love to have Limited Slip differential but think that was a regular option not specific to this model. 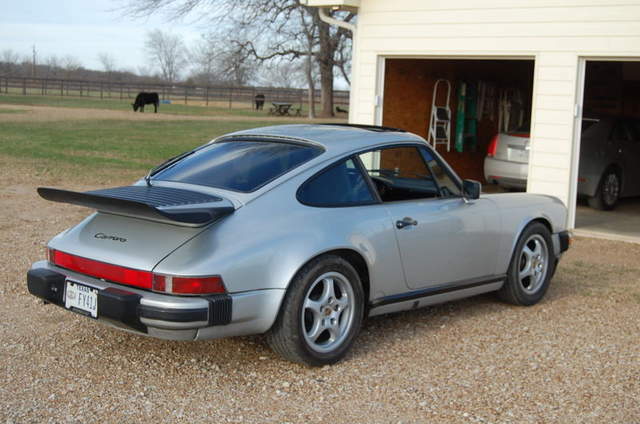 "The 911 Silver Anniversary Carrera SE (option), 240 of which were produced worldwide from January to September 1989, a custom version with engine and suspension modifications of the standard Carrera that, was purpose built for marking the production of the 250,000th 911 in the summer. Featuring a Limited slip differential, Short shifting gear leaver and limited production world wide. 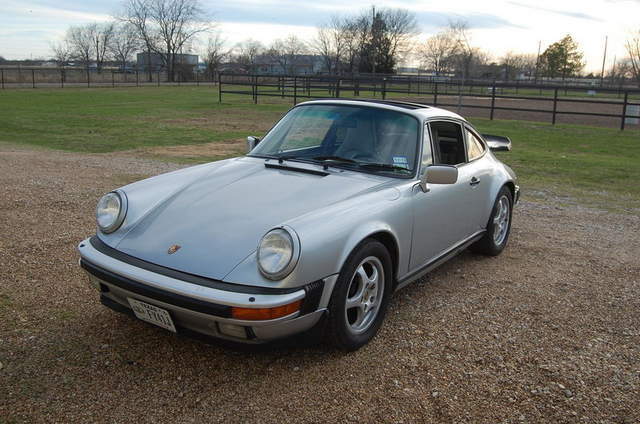 Exclusively in model year 1989 to also signify the 25th year of 911 production colors were for 120 cars in either in Silver Metallic or Satin Black Metallic. 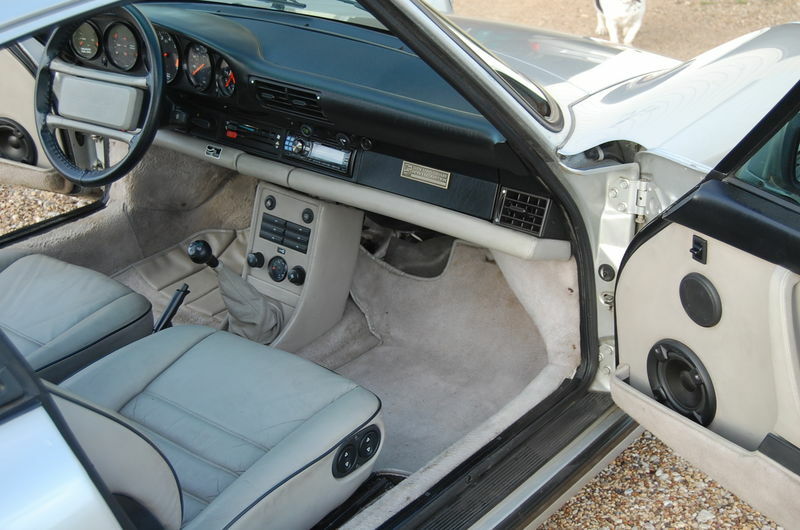 Interior trim features are silk grey supple leather seats, with black accent seat piping and silk grey velour carpeting that extends to the trunk area as well. 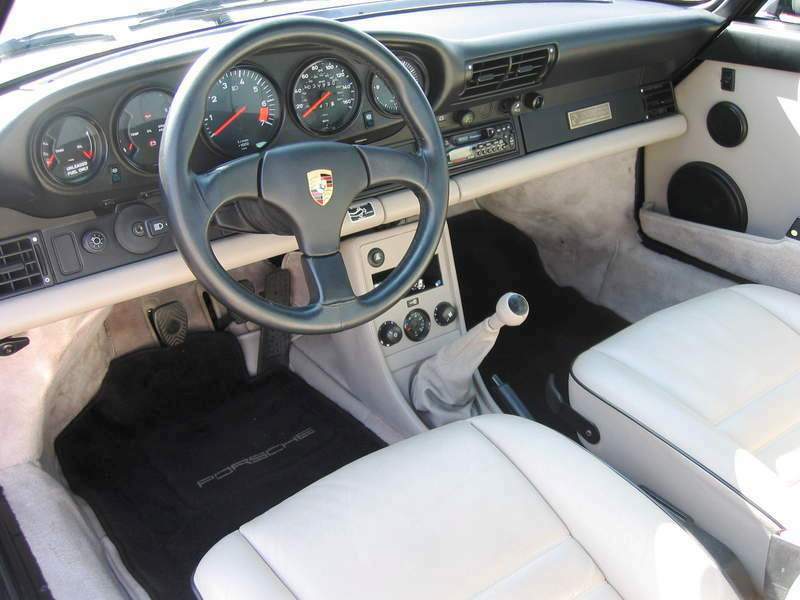 The steering wheel, knee bar and shift knob are also covered in silk grey leather. A Porsche Exclusive special stitched leather center console in silk grey houses an outside temperature gauge and CD holder's. The shifter features a leather boot in silk gray leather as well as short shift kit. Exterior features is the shinny Metallic Paint of Silver and special significance of these 911's are body colored wheels. They are 16x6 front and 16x8 rear Fuch forged premium wheels. Another key element of this special model is the front and rear spoiler designed to create additional down-force. The rear windshield wiper and front headlight washer are all part of this Special Edition 911's package. 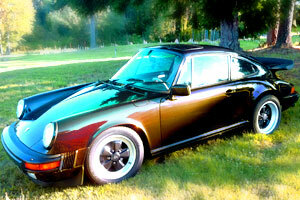 These cars differ from the rest of the 911's to be a collectors dream come true." The 250,000 celebration was the CE, I thought? mmm,..gotta', wonder about that one? they DO mention "summer"??? For sure: not many 25th Edition cars (1989) hit the U.S.,..especially Silver Metallic Coupes. 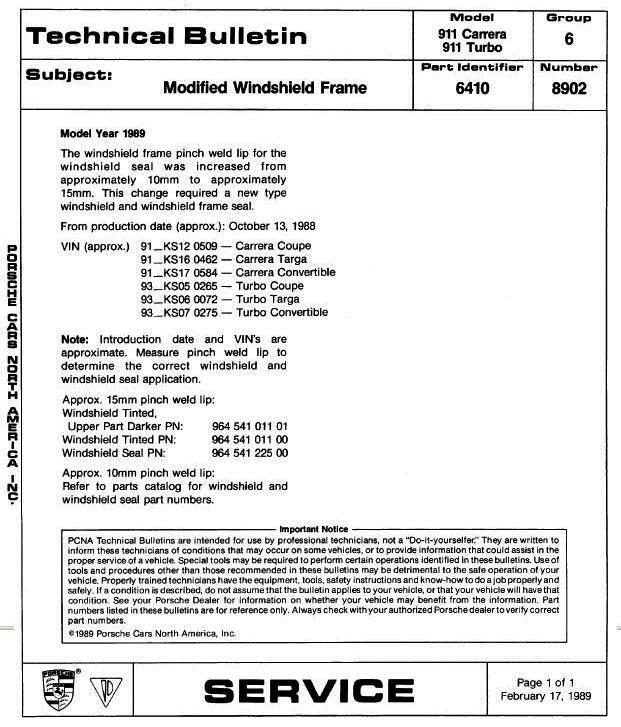 We'll have to look into actual production dates prior to January 1, 1989. I seem to recall reading the same as you, Hank, as to when they actually started production on the 1989. Last edited by dshepp806; 03-23-2013 at 06:04 PM..
Hey Hank - I agree. No malice meant. It was not stated to 'take away from the point'... I just quoted 'verbatim 'of what was stated in the PCA's June 2012 Panorama. I would think that anything that is a 'special' edition has to be 'special' ay. 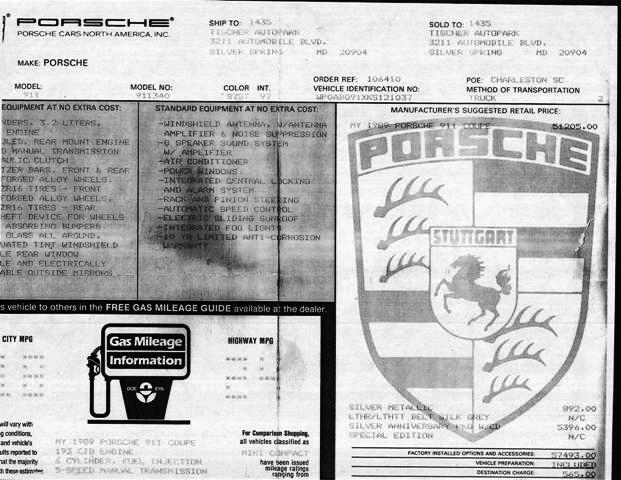 The article on page #28 was titled- "The Rapidly Rising Interest in Early 911" The 'side bar' page #38 is titled "Post- 1973 Collectibles" which consisted of a list of 11 vehicles. Comment #5 stated that these two editions are 'worthy' as a collectible....What though has become a real big $$$ car, as you no doubt know, are the Turbo's, particularly the '87-89's. A flawless black one with 22,000 miles sold for $70,000.00 locally last fall. ps- I really do like these 'special edition' cars. Beautiful interiors.